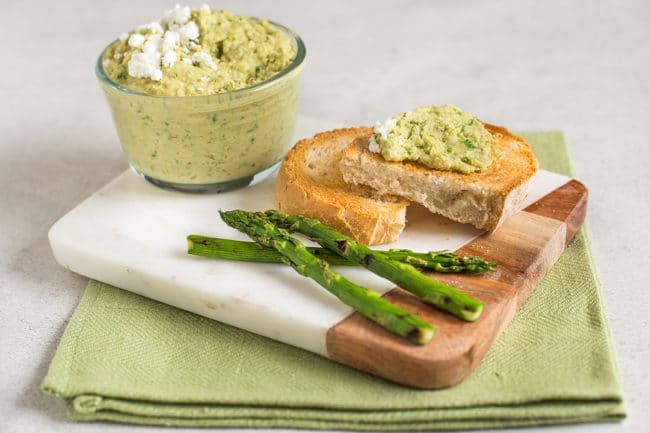 An easy vegetarian pâté made with chargrilled asparagus, feta cheese and chickpeas. Great as an appetiser or sandwich filler! We’ve been eating a lot of asparagus lately. Not only is it one of my favourite vegetables, it’s also great for baby led weaning, as Eden can grab it in a fist and chomp on one end. I’ve also been trying to waste less food this year. Doing as much cooking as I do, unfortunately some veggies sometimes get left behind, which isn’t great. So this asparagus and feta vegetarian pâté is a great way to use up the last few bits of asparagus in the fridge. You could even add extra cooked vegetables if you have other things to use up (although the colour might end up a bit less appetising!). I love making vegetarian pâtés – basically just fancy hummuses (hummi?). 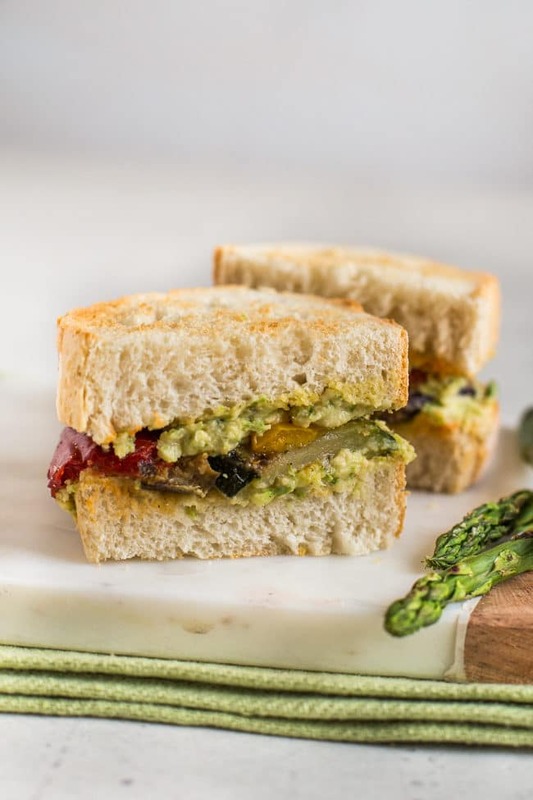 The options are endless – different kinds of beans, spices, vegetables… This one is made with asparagus (cooked in a griddle pan, so you get those gorgeous charred bits – so much flavour! 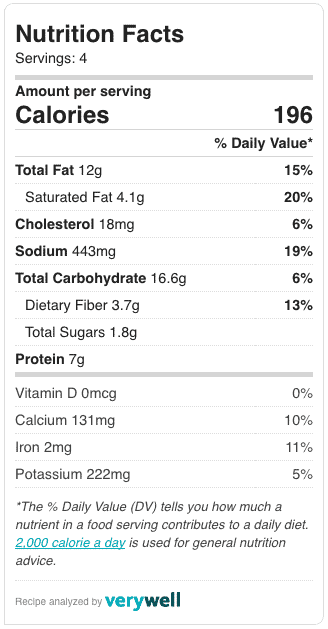 ), as well as feta cheese, chickpeas, garlic, and a few other tasty extras. 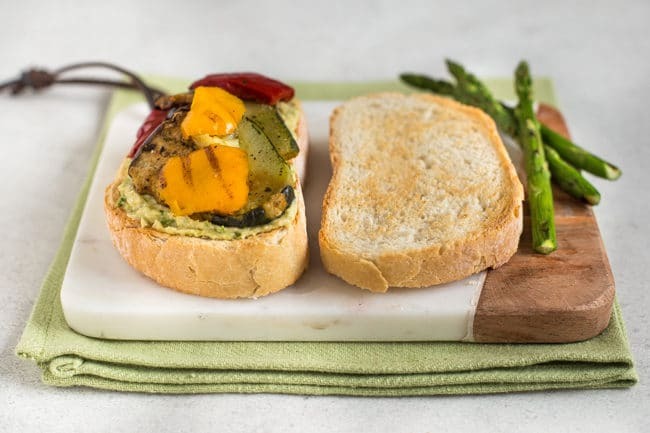 You can serve your vegetarian pâté simply on toast (it would make a nice appetiser for a dinner party), or in a sandwich – I just added lots more grilled vegetables. Some more crumbled feta would be good too! I also like to use this kind of pâté as a pasta sauce – just thin it out with a little water or olive oil. It’s a good way to use up the last of the batch without feeling like you’re eating the same thing too many times in a row! Now, what vegetarian pâté to make next…? Add the asparagus spears to a griddle pan over a high heat, and cook until it is fairly soft and slightly charred. You can use a frying pan if you don't have a griddle pan, but you won't end up with the same char. 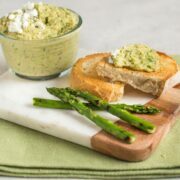 Add the cooked asparagus to a food processor, along with the drained chickpeas, garlic, and feta. Blitz until roughly chopped. Add the olive oil, lemon juice, and a pinch of salt and pepper, and blitz again until smooth. For a thinner mixture, just add a dash of water. 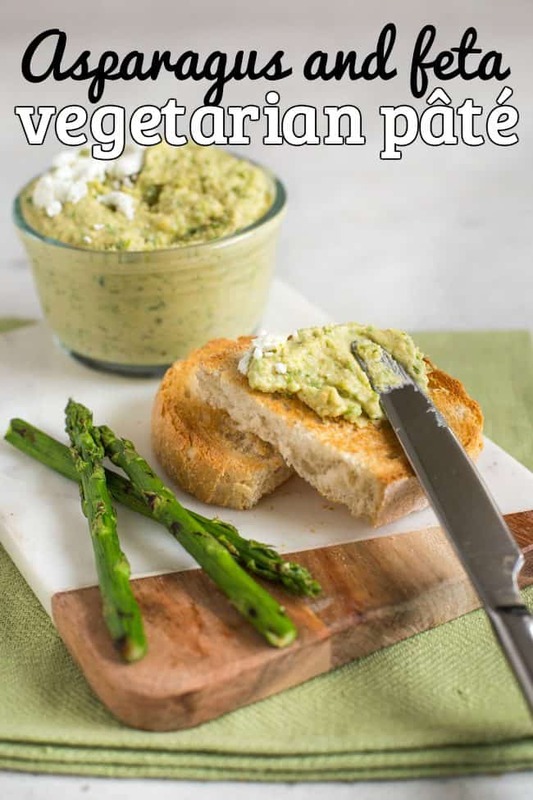 Love simple vegetarian pâtés? 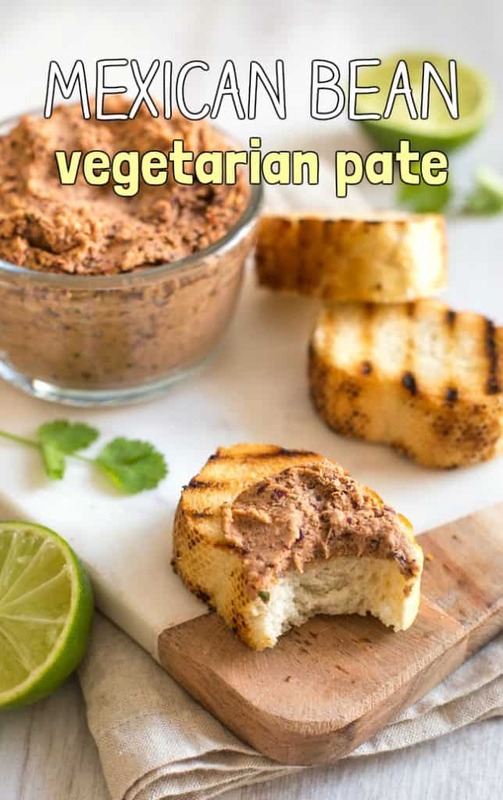 My spicy Mexican bean vegetarian pâté is a great one to try! Thank you so much for this recipe! I have been really sick the last several months so we’ve been buying frozen vegetables. I was wondering what to do with my frozen asparagus — problem solved! Ooh yes I bet griddling it will make it taste amazing!